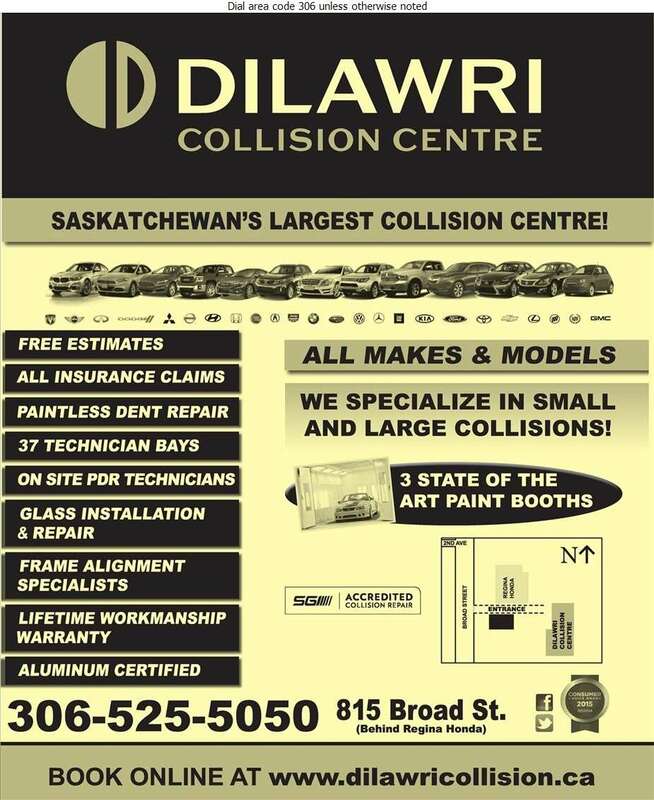 At Dilawri Collision Centre, our fully equipped collision repair shop can handle your auto body repair needs. We work closely with insurance companies to ensure that your vehicle returns to a like-new state quickly. The paint shop works tirelessly to match all colors and trims, yielding a factory-quality finish. To put your mind at ease, our state-of-the-art facility combined with highly trained technicians will ensure your vehicle is restored to manufacturer-specified standards. In addition, we offer replacement transportation to keep you on the move. Our team also provides window tinting, paintless dent removal, auto body rust repair, wheel restoration as well as detailing services. At Dilawri, our skilled auto body team is ready to make your car shine! Call for a free estimate, today! Took my vehicle in to get the bumper repaired. Awesome service and excellent work!